If you’re like most people, you probably assume that you don’t need ongoing garage door maintenance. We are Pros On Call and as garage door repair experts with years of experience, we can tell you that routine garage door maintenance is vital to keeping your garage doors in good working condition. Plus with professional inspections, you can catch problems early on. This will prevent serious issues later on and in the end, you will save money. Plus with professional inspections, you can catch problems early on. This will prevent serious issues later on and in the end, you will save money. 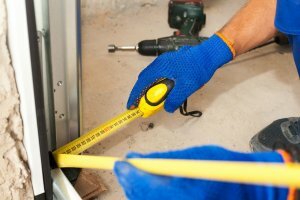 We provide in-depth inspections once or twice a year and offer affordable solutions if any repairs or replacements are needed. Call now to learn more! Before we reveal what our garage door inspections include, here are a few things you should know about us. To start with, we can provide routine inspections for you once or twice a year for basic ongoing maintenance. During these inspections, we will address any concerns that you may have. And, if there is a larger problem that needs to be fixed, your technicians will clearly go over all of your options with you and help you pick the best choice for your budget and your needs. Typical garage door inspections include 10 main steps. The following is an example o what your technicians will look at. Most importantly, observing the garage door every time you use it is a good way to detect the flaws before they escalate to cause emergencies. If the garage door is not moving smoothly, it might have developed some problems in some of the components. The garage door should open quietly without making some noises. Our routine garage door maintenance involves addressing problems immediately to avoid affecting other parts of the door. For example, if the rollers are not moving smoothly, you will have to use extra force to move the door. By pushing the door harder than necessary, you will affect other parts of the hardware and increase the cost of repair significantly. Improper garage door movement means that you need one of our specialists to inspect the bolts, tracks, and roller brackets. We will also inspect the garage door to ensure that it does not sag on one side. A sagging garage door indicates that some of the springs have started to lose their tensile strength. Since you open and close the door several times every day, the weight of the door can put enormous pressure on the springs and cause them to buckle. The best way to avoid injuries is to inspect the springs and rollers at least once every year. Ensure that you replace the cracked and chipped rollers to guarantee that the door will move smoothly. The weather seal is critical to your daily operation of your door. The regular garage door maintenance will keep the weatherstripping in good shape. If the weatherstripping is not working, do not bother to repair it. Replacing the weather-stripping is the best way to ensure that you solve the problem permanently. Preventive maintenance is the key to a working garage door. One of the easiest ways to prevent problems is to periodically apply a lubricant such as WD-40 to your garage door parts. This is something that you can easily do on your own. But if you forget, we will be happy to take care of this as part of on ongoing maintenance procedure. Remember that any obstacles can cause extensive damage to the cable, and that garage door maintenance is mandatory. If some rollers are not rotating, the remote control system will continue pulling the cable. If your cable has started to wear out, it might snap too. Broken cables can cause some serious injuries, especially when the remote system is in operation. Our garage door maintenance services ensure that the door is moving forward and backward smoothly. If you are using the remote system, we will test the forward and reverse operations to ensure that they are in good working order. If the door is moving forward easily and jerking on its way back, there may be an issue with the cables or the garage door opener. We can diagnose the issue quickly. Avoid the cost and hassle of emergency garage door situations by keeping the tracks free of the debris. The debris will increase the vibration and make it difficult to open or close the door. If you are using the remote control, such vibration can damage the system and make it quite expensive to repair. The vibration of the garage door will increase the wear and tear that will affect the various components. For example, the vibration will start to affect the jambs and springs that hold the door. Considering that a vibrating door can loosen the hardware, the worst-case scenario is when a door comes out of its support and hangs precariously. Such a door can injure people or cause extensive damage to your cars. It is easy to forget to check for debris on a regular basis, that is where our maintenance solution comes in handy. Pros On Call recommend keeping the water out of the locks, panels, and rollers to prevent rust and increase their lifespan. Also, a fresh coat of paint will improve the appearance of your front façade. Get in touch with Pros On Call and schedule our ongoing garage door maintenance and inspection services now. 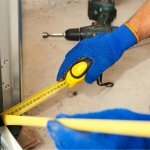 Maintenance https://prosoncall.com/garage-doors/repair/maintenance/ 4.0/5 based upon 18 reviews.